At the AIGA-hosted Vectors design conference in San Francisco this June, designers and entrepreneurs gathered to present their insights into how design and technology affect our communities, and how our identities contribute to what we design. One of the more powerful talks came from Rafael Smith, a design lead at IDEO, who presented the problem and prevalence of unconscious racial and gender bias in the workplace and beyond. This is a topic that often inspires either a miserable hopelessness or a refusal to engage, but Smith elegantly inspired something else: Hope, in the form of specific strategies that designers and technologists are using today to challenge the status quo. In plain language, that means: The easier something is to remember, the more prevalent we imagine it is. A classic example would be a person reading about an airplane crash, and then feeling fearful during their flight the next day. Airplane crashes are exceptionally rare, yet they are fresh in that person’s mind and cause undue worry, even though a crash is unlikely! Calling this mental phenomenon a “shortcut” is important for a few reasons. For one, it removes shame and blame: Because our lives are so busy and filled with hundreds of decisions, we have little choice in the matter. Our brains are designed to seek shortcuts to save mental effort. Second, it sets up an understanding that all of us are likely to take part in this kind of mental leap without placing heavy moral judgments on us for doing so. Rather than implicating a particular person or group as guilty of bias, Smith takes a relatable, inclusive approach likely to generate empathy in his audience. His point is that we might not mean to do it, but we all rely on stereotypes and biases when making quick decisions. We should therefore all be aware that those biases have significant impact on the lives of individual people. How might we mitigate unconscious bias? Having laid out this problem, Smith directs our attention to some creative ways in which designers are using their skills to challenge unconscious bias through technology. Blendoor​: A recruiting platform that uses machine learning to reduce unconscious bias by highlighting candidate information that is relevant to the job, and hiding data that isn't. That means things like gender- and ethnicity-revealing information like names and photographs. Since research indicates that non-white applicants get half as many callbacks as white applicants do, and women still earn less than men for the same jobs, this is a step toward more fair, merit-based recruiting. de-bias Yourself​: A simple web browser plugin that allows users to hide certain information from social profiles or sharing economy sites like Airbnb, in response to the claims that Black people have a harder time participating in those sites due to race bias by other users. This plugin isn’t an example of beautiful visual design, but it’s a powerful example of social design in that it’s a very simple technology applied to a huge social issue. It also normalizes the notion that it is our personal responsibility to attempt to dismantle our racial or gender bias, and gives us a tool to do so. Textio​: An “augmented writing platform” that uses data analysis to inform writers and recruiters about how to improve their marketing and job postings by removing unconscious bias from their text. The platform works by analyzing job posts and outcomes data, identifying “masculine” versus “feminine” tones, and suggesting alternative language for pieces of writing to appeal to a broader, more high-quality readership and applicant pool. Creating products that help us make decisions based on merit is one effective strategy for dismantling systemic bias through design. However, this will only get us so far. Smith closes with an exhortation to remember that each individual person has power to contribute to the cause of questioning and dismantling unconscious bias. Asking ourselves who our circles are.​ Who are we consistently spending time with, consulting and mentoring? Could we give some of that time to different groups, or expand our circles to include greater diversity? Considering bias at every level.​ While it is worthwhile to fight for equal executive pay for women in tech (to use a trendy example), we should also remember that there are disadvantaged people struggling further down the ladder, and consider how we can push toward a fairer world for them, too. Creating dialogue for change.​ There is undeniable power in talking about the issues of unconscious bias, diversity, and how design and technology can improve the status quo. We can use the platforms we have within our companies or social groups to raise the profile of these issues and elevate their importance. This in itself is a valuable contribution to positive social change. Unconscious bias can be easy to dismiss and incredibly hard to dismantle: It’s invisible and deeply ingrained in the minds of even the most open-minded. Through consistently addressing and questioning bias, educating ourselves and others, and creating empathy through community and creative projects, we all have a role to play. By continuing to innovate with products and services that address empathy and make the invisible more visible, designers and technologists can and should help lead the way forward. 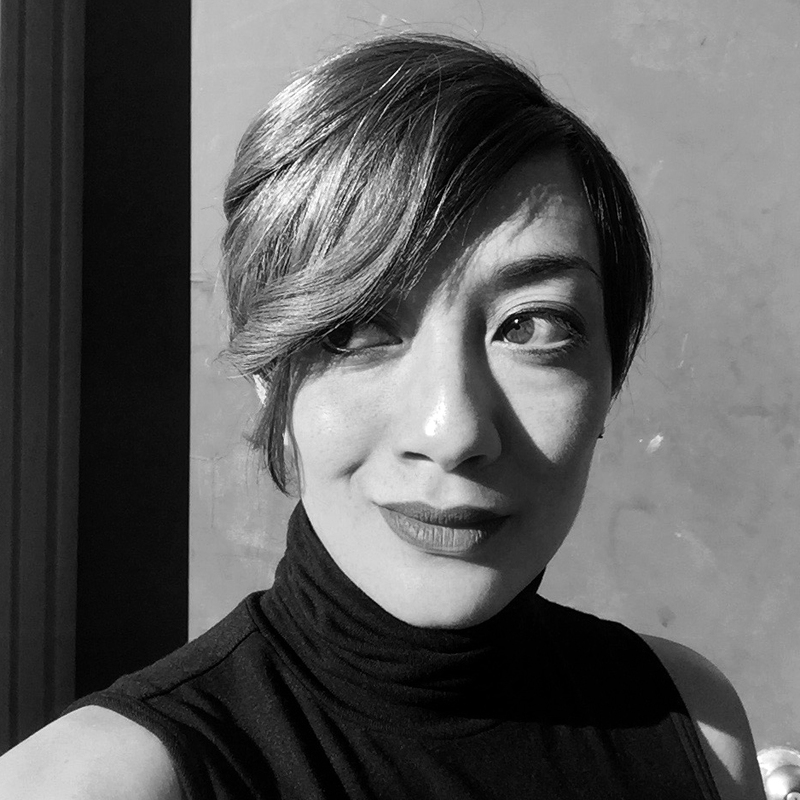 Irene Malatesta is a marketing content strategist, writer and designer living in San Francisco. She received her BA in Art History from Columbia University and her digital design training from Parsons. She’s driven by a desire to create authentic connections through shared creativity and storytelling.